What a last couple of months. So busy on the personal and professional side of things, helping other people with their stuff, reorganizing my office, and publishing all kinds of reviews and the like. Some things are written but not up. The portfolio will be updated later today. But here’s a quick update. Sims 3 DS review: In summary, the Sims is too big a game for such a small platform. Lionheart: King’s Crusader review: It’s not as good as I had hoped it would be from the preview events I saw, but still a better game than Neocore’s King Arthur was. Ultimately, it is too difficult and too linear for me to love it, but the sense of place and mission is very strong. Looking forward to their next game. 2010’s Under Appreciated Games: It’s a good list in general from some really smart people. If you just want the strategy stuff, there are strat picks from Bill Abner, Mitch Dyer, Rob Zacny, Me and Jenn Cutter. The Holiday 2010 issue had my column as usual. 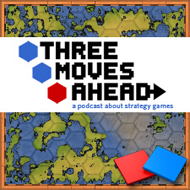 This month, Tactical Advantage talked about tactical battles in strategy games, and what needs to be done to keep me from autoresolving every last one of them. Alas, it is the only strategy content in the issue. Still worth reading and buying. I was also on the this week’s PCGamer podcast. OK, so it’s not that much. But there is a lot more to come in the coming months. I have been very busy and very productive. More updates as they get published. Too bad that Gameshark article is one of those “three paragraphs a page for ten pages” articles. Thanks for posting the individual authors!